A recent project completed by Edmiston Jones’ Nowra team is the master planning of the Jervis Bay Maritime Museum at Huskisson. This included a concept design for the display of the historic Cape St George lighthouse mantle. 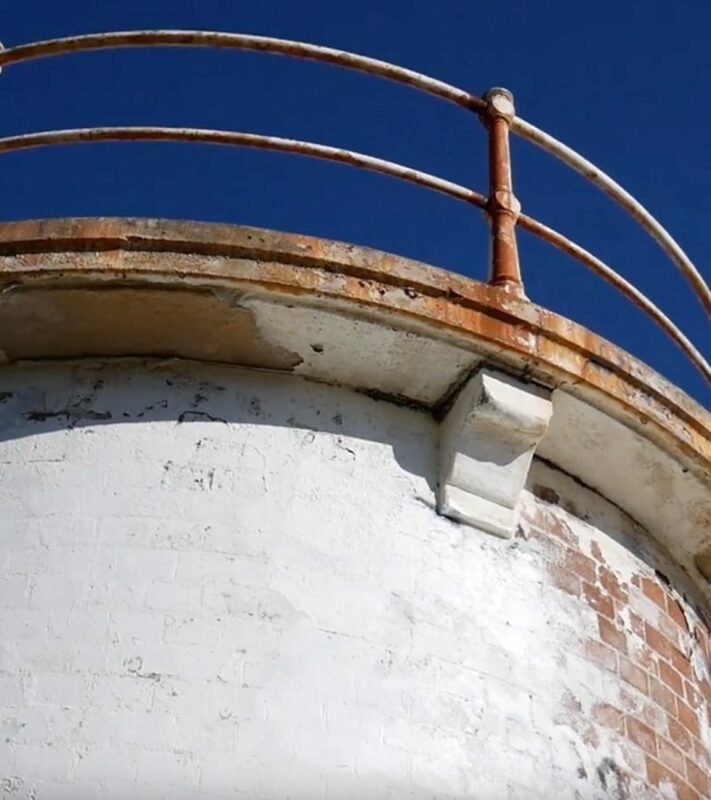 The top half of the lighthouse, the mantle, is currently being restored at the South Coast Correctional Centre while the remainder of the building, which was the mantle’s last home, remains untouched on the Crookhaven headland. Concept design of the lighthouse mantle structure. 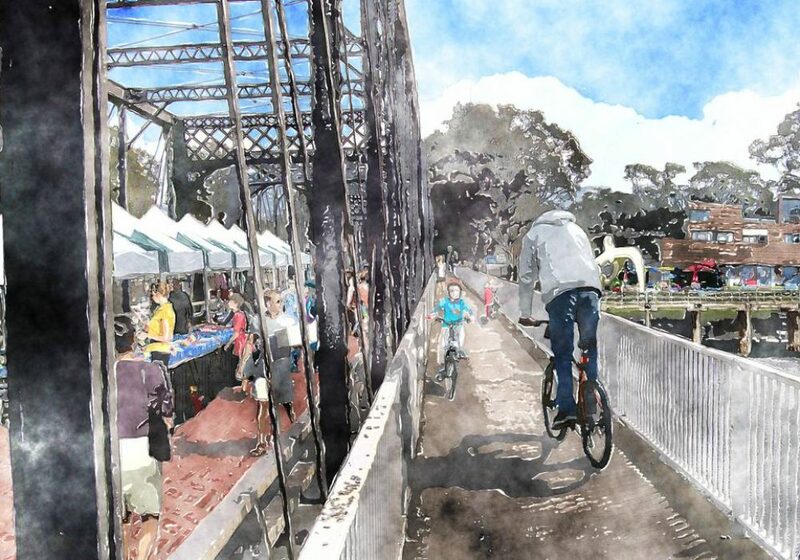 The concept design proposes that a new structure be located in the Jervis Bay Maritime Museum precinct near the Currambene Creek where it would be visible from the Huskisson wharf and town centre. 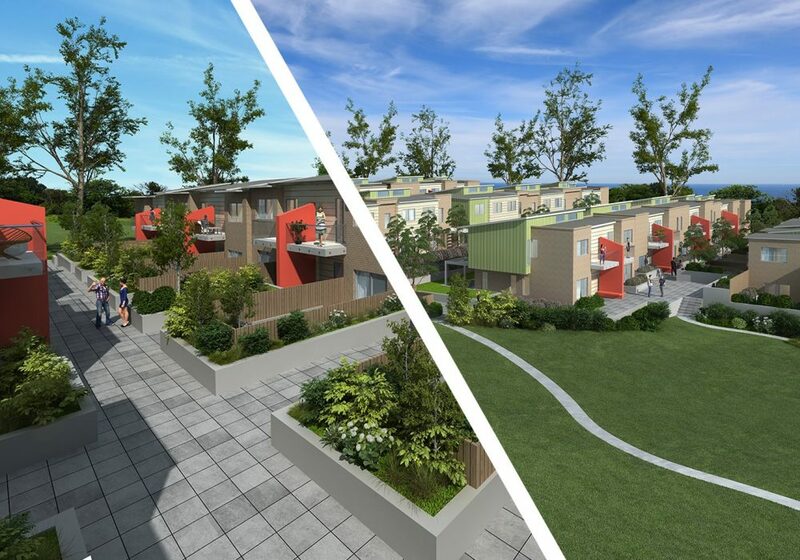 The structure is to be an abstract interpretation of the mantle’s previous “homes” combined in the same edifice. 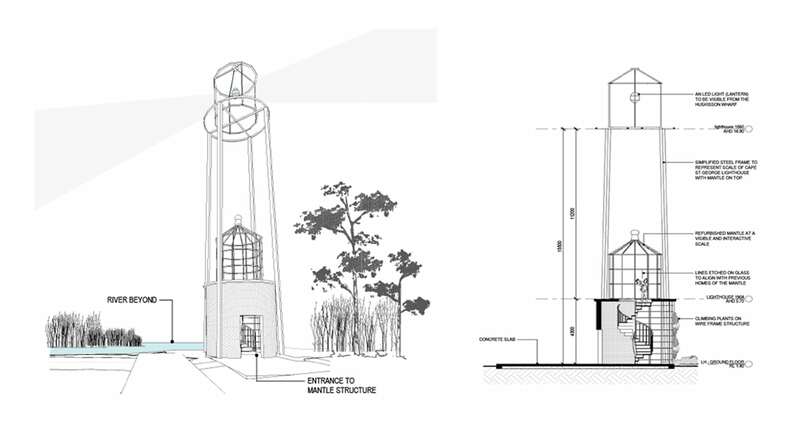 Cape St. George lighthouse is to be represented in a steel frame to the original building’s proportions as an abstract depiction of the of the mantle’s height in its first location. Perspective view from the Museum. 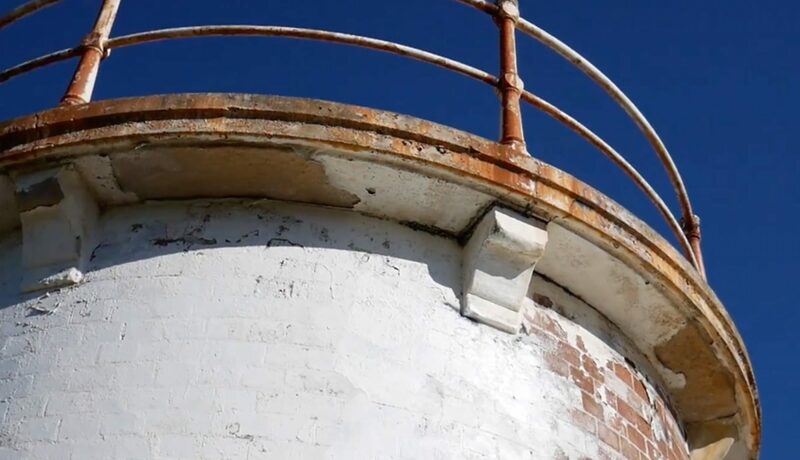 The restored mantle is to be placed above a building, part masonry and part wire frame with a green wall, to simulate the Crookhaven Heads lighthouse. In this position the mantle would be at its familiar height where it resided for over 100 years at Crookhaven Heads. A spiral stair inside the building would give access to the mantle, incorporating interpretive graphics and signage. 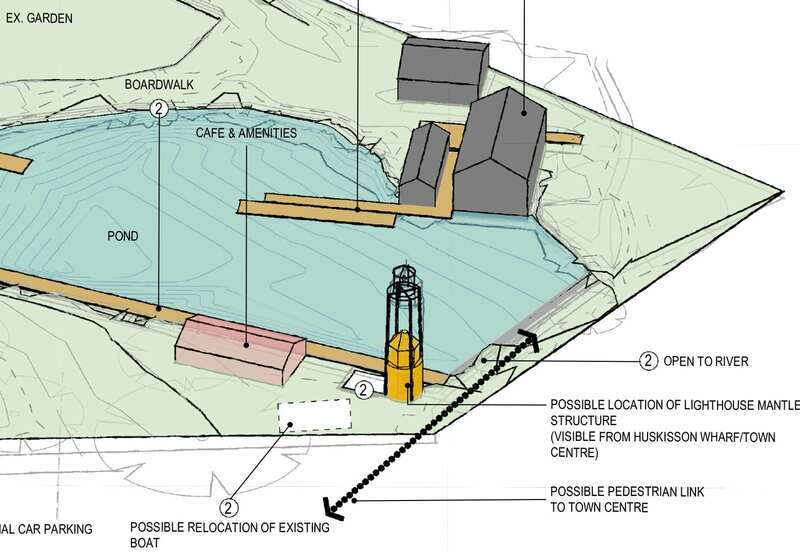 The pavement at the base of the new building will recreate the footprint of the original Crookhaven Heads lighthouse with a map of the journey the mantle has taken over 158 years.